Since Brexit there’s been an alarming rise in racism, which has resulted in a spate of verbal and physical attacks on Blacks, Asians and eastern European immigrants. 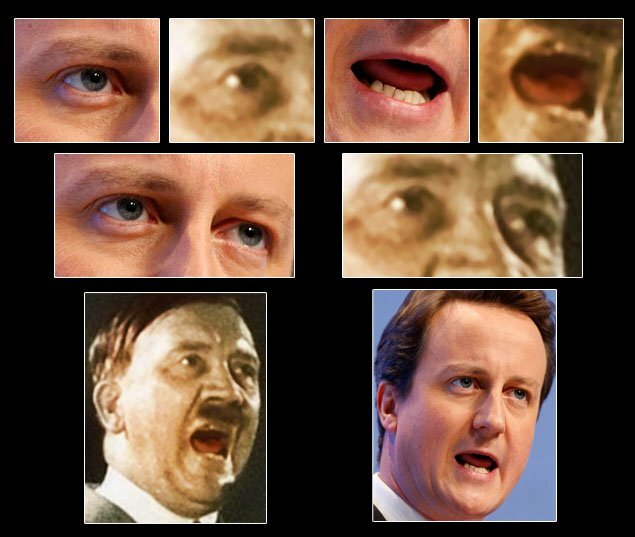 The openly Nazi fringe has shrunk to a handful of feuding grouplets, whose membership has also fallen dramatically. Unfortunately, these groups have become increasingly radical, and their Nazism and racism is now much more overt. The banned British Nazi youth group, National Action, as I’ve said, used to march about in cod-Nazi uniforms while making speeches full of the Jewish world conspiracy twaddle. And they’re not the only clowns. There’s another Nazi group, which also dresses up in quasi-Nazi gear, and whose leader seems to desperately fancy himself as the new Oswald Mosley. Richard Thurlow, Fascism in Britain: A History, 1918-1985 (Oxford: Basil Blackwell 1987). The British parapolitics magazine, Lobster, has also published a number of articles about British Fascism and its denizens. Lobster is a ‘conspiracy’ magazine, but it isn’t about stupid and murderous rantings about Jews and freemasons. This is about real conspiracies and clandestine groups that are documented history, and have been trying covertly to influence British and global politics, such as the various front organisations set up by the CIA during the Cold War and the type of pro-Nazi groups set up and organised by the Republicans in their long campaign against global Communism. The articles on British Fascism are by anti-Fascist writers and activists. 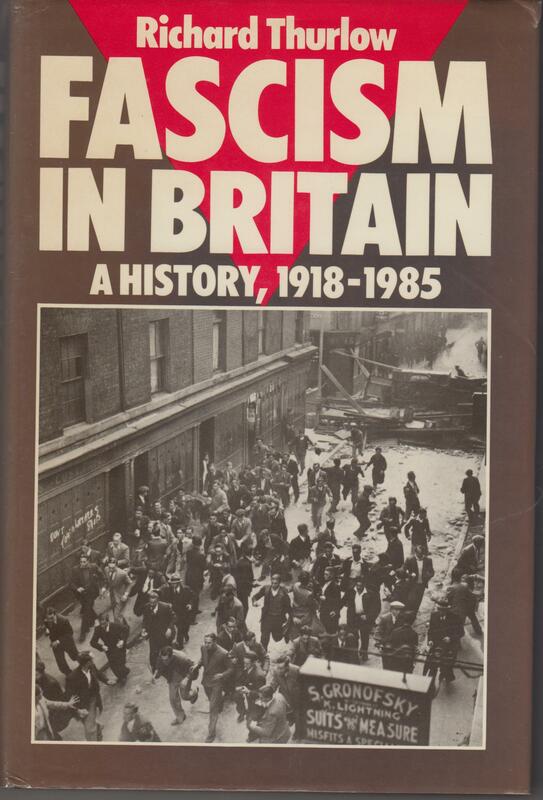 Larry O’Hara published a series of articles, Notes from the Underground on British Fascism from 1974 to 1992. These ran from issues 23-25. Part 1, published in Lobster 23, was on the period 1974-83. Part 2 in Lobster 24 covered the links between British Fascists and their counterparts on the continent, including Steve Brady, the political soldier faction in the NF, the safe-housing of German and Italian Fascists in Britain in 1983, and the plot to bomb the Notting Hill carnival. Part 3 in Lobster 25 covered the four years from 1983 to 1986 including the removal of Martin Webster as the head of the NF and the resignation of Joe Pearce and Nick Griffin,, the attempts by the NF to set up Instant Response Groups to organise rapid campaigns against marches by Irish Republicans, and a brief occupation of the offices of the Daily Mirror. In the same period they also tried to present themselves as Green and eco-friendly, organising demonstrations against vivisection. They also mounted a campaigned against the kosher slaughter of animals. This prefigures the recent campaigns of some of the far right factions against halal slaughter by Muslims. They also tried to set themselves up as being for the miners in the miners’ strike, a series of prosecutions in 1984, which resulted in several of their members being jailed for various offences, and their foiled attempt to infiltrate the National Council for Civil Liberties. O’Hara followed this up in Lobster 29 with an analysis of the NF’s split in 1986. He also wrote a piece in issue 30 examining the possible links between Combat 18 and MI5. He also reviewed the books Contemporary British Fascism: The British National Party and the Quest for Legitimacy, by Nigel Copsey (Palgrave MacMillan 2004) and The Radical Right in Britain by Alan Sykes, (Palgrave MacMillan 2005) in Lobster 49. There was also piece in Lobster 46 by Kevin Coogan on the League of Empire Loyalists and the Defenders of the American Constitution. The issues from Lobster 58 are online and free to read. Earlier issues are only available in hardcopy, and have to be ordered from the editor, Robin Ramsay. This obviously is a very limited and dated list of material on modern Fascism. Nevertheless, it helps give the perspective to the contemporary antics of the British Far Right and their campaigns to beat and terrorise people simply because of their ethnicity or colour.